Two years ago, on February 9th I came home from a long day of work at about 7:30 and my wife gave me incredible news. She was pregnant! This was going to be our first child, so naturally I was overcome with so many different emotions. I paused for what felt like an eternity and when I finally gathered my wits, I very distinctly remember the first words out of mouth were, "It's okay, we're in a good spot financially for this right now." If you're a woman reading this, I know what you're thinking - "how romantic". Well, my wife didn't think it was a very good response either. In my defense, I'm a CPA and that's just how my brain works. Later that night when I couldn't sleep, I was wishing that I could rewind to have a second chance at a better response. Since I knew that wasn't going to happen, I decided that I needed to think of something fun that my wife and I could do together on Valentine's Day that was would make up for my stupidity (hard believe a man that uttered those smooth words also didn't have a plan for Valentine's Day that was 5 days away). 1. 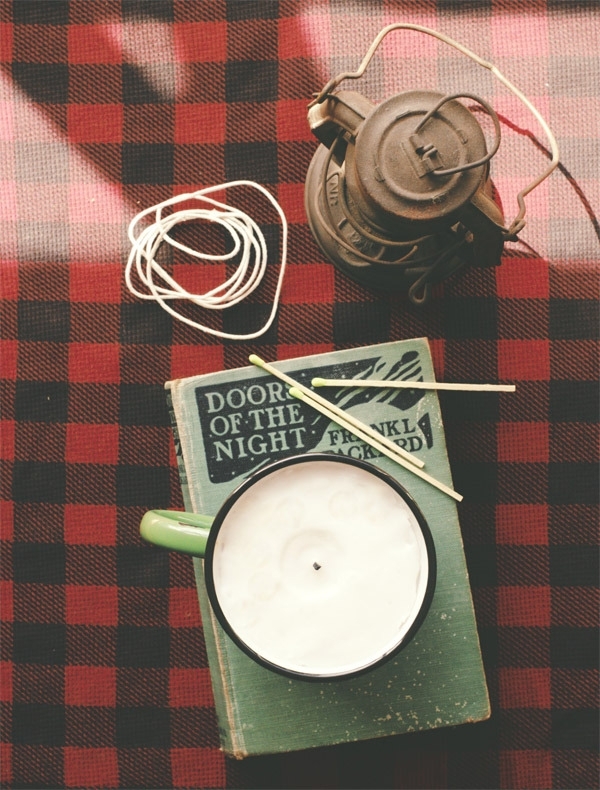 Homemade candles: These are the candles saved me two years ago. We used small mason jars instead of a mug because it fit our decor better. It's a great couples project and the candles still work great two years later. 2. Custom coasters: Coasters get used nearly every day unless you're a savage and don't respect wood enough to use them. If that's the case, you're probably on the wrong website. These custom coasters can be a great reminder of a great trip or great memory that both of you share. 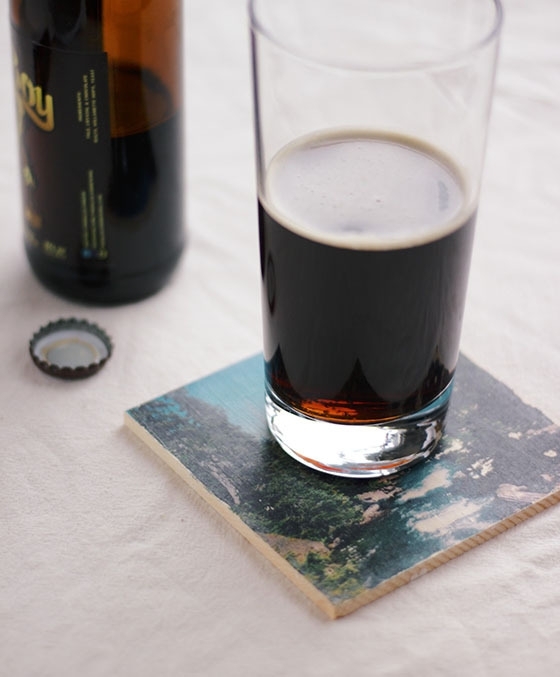 You could also make these coasters if you prefer wooden coasters. 3. 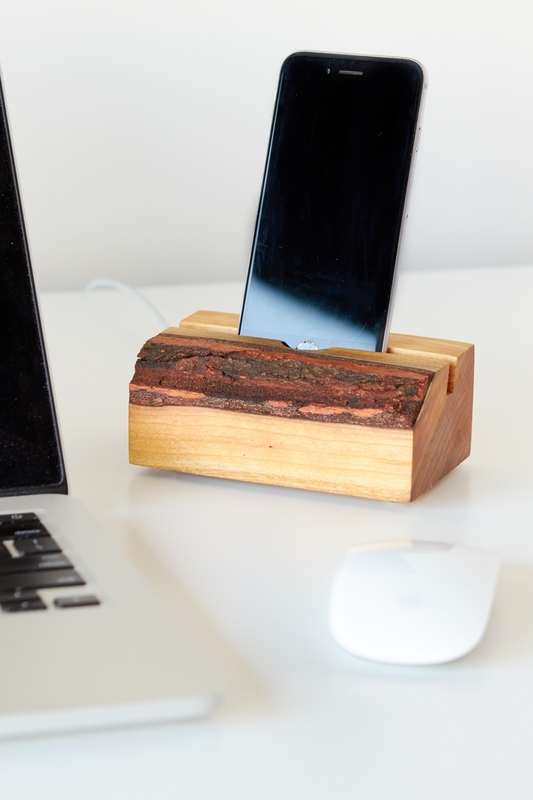 Rustic charging station: Nothing says love like a block of wood that can be used to charged your phone. Well, maybe that's a bit of an exaggeration, but I know I love it. At this point, almost everyone has a smart phone but most people don't have a great way to hide the cords that charge their phone. This charging station is a simple and rustic gift that will be used everyday. 4. Leather and wood serving tray: This simple kitchen/dining project from Paper N Stitch can be put together in about ten minutes once you've sourced the materials. You can buy an existing wooden round at craft stores and woodworking supply shops like Woodcraft, or cut your own with a jig saw or band saw. 5. 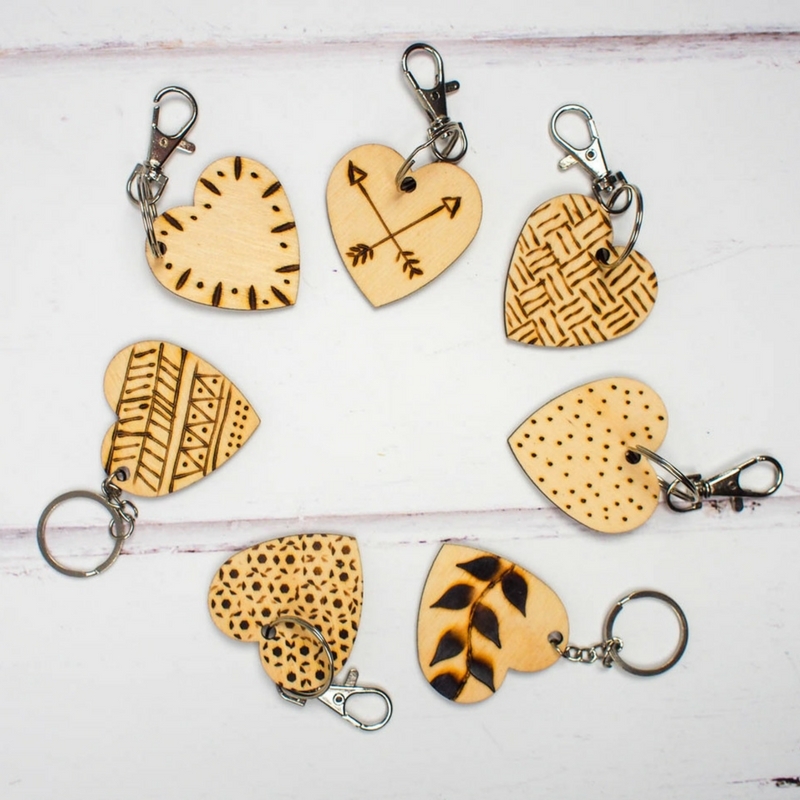 Custom wood keychain: She will be reminded of you every time she leaves the house with this easy DIY custom keychain. If you prefer to work with leather, you can also make this great leather heart. 6. Make a ring: Anyone can go out and buy a ring for the person they love. It takes real time and energy to craft a ring that your Valentine will love. 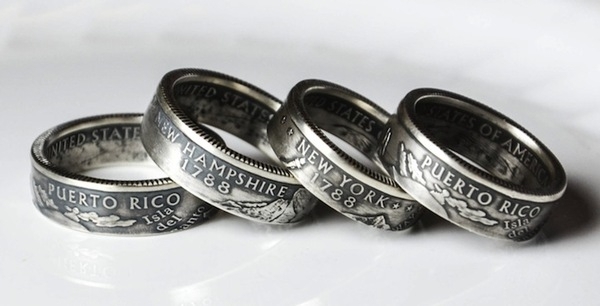 My wife has a great ring made out of an old coin that she loves. Try this great quarter ring or make a wooden ring from your favorite lumber. 7. 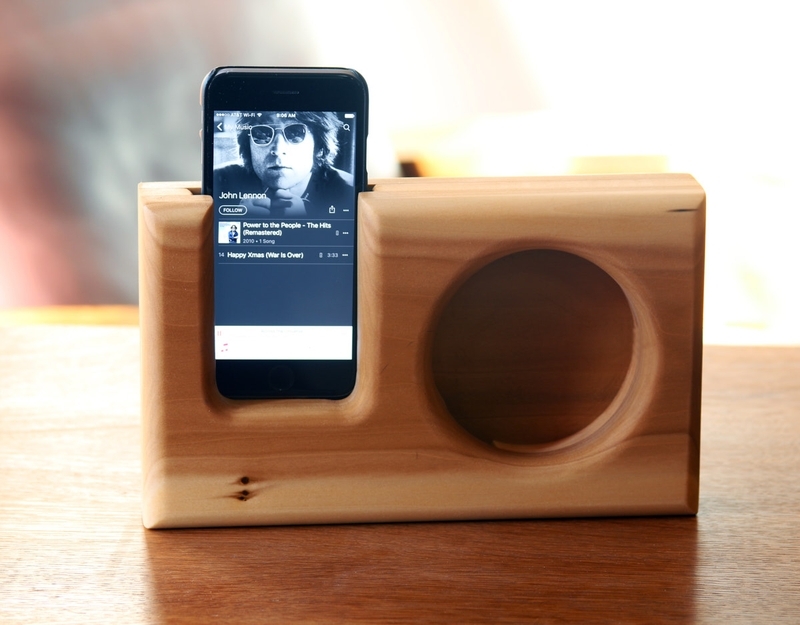 Wooden smartphone speaker: If I'm at home, I have music on but I don't have my whole house wired for sound. This wooden smartphone speaker can easily be moved around the house and it projects a great sound. I have several different styles of these amplifiers spread throughout my house. 8. Love Jenga: Remember playing Jenga when you were a kid or playing drinking Jenga in college. 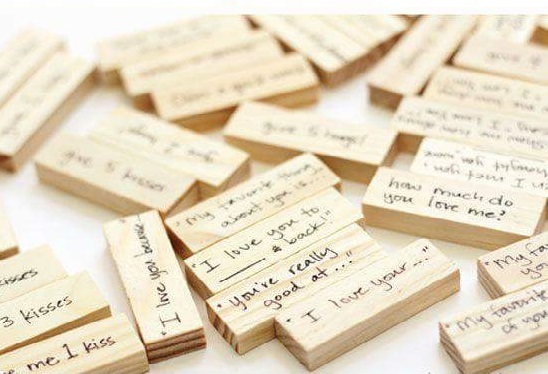 This love Jenga idea is a fun activity for you and your loved one that you can customize to fit each other. 9. Finger print art: Just like your finger prints, there are no other couple like you. 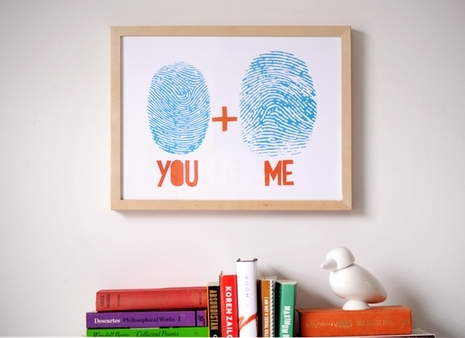 This finger print art is a unique way to show that your love is one of a kind. 10. 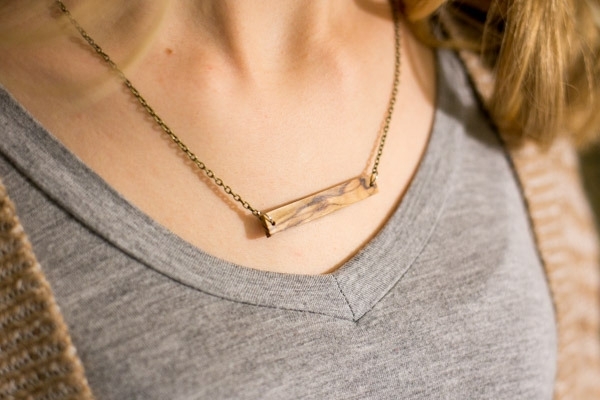 Necklace from scrap wood: This necklace is absolutely beautiful and there won't be another one like it in the world, because nobody else has your scrap wood pile. I love this idea and I'm actually in the process of making my wife this necklace for Valentine's Day this year. Bonus - 11. 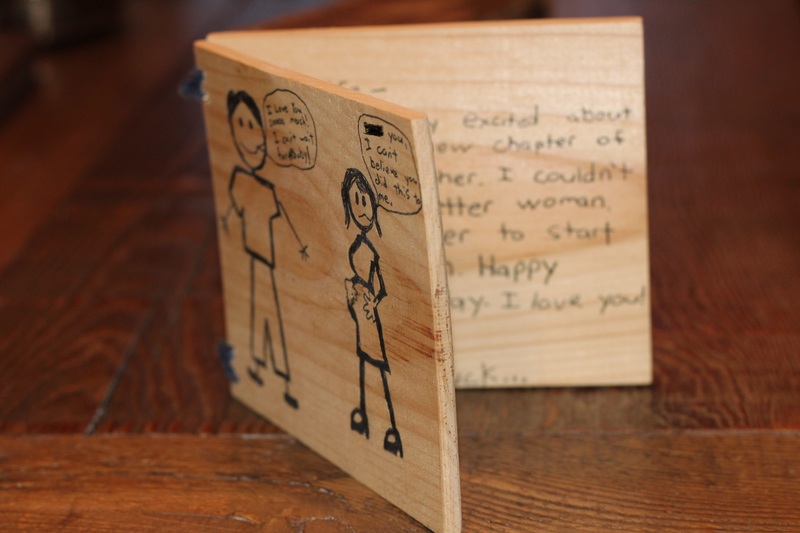 Wooden Card: When I stuck my foot in my mouth when my wife told me about our daughter, I didn't think the traditional Hallmark card was going to cut it. I went to a fabric store and they had thin pieces of pine to make a sign. I cut that in half and used a ball point pen to draw this beautiful card. Drill a couple holes to make a string hinge and you're good to go. I'm incredibly lucky that my wife gets my sense of humor and didn't marry me for my drawing skills. 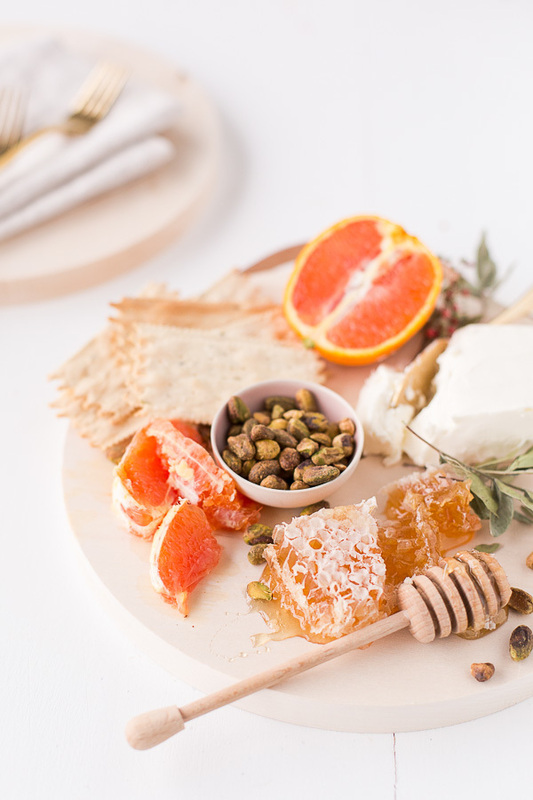 Whether you love Valentine's Day or hate it, any one of the 10 11 ideas will go a long way with your significant other. Happy building.